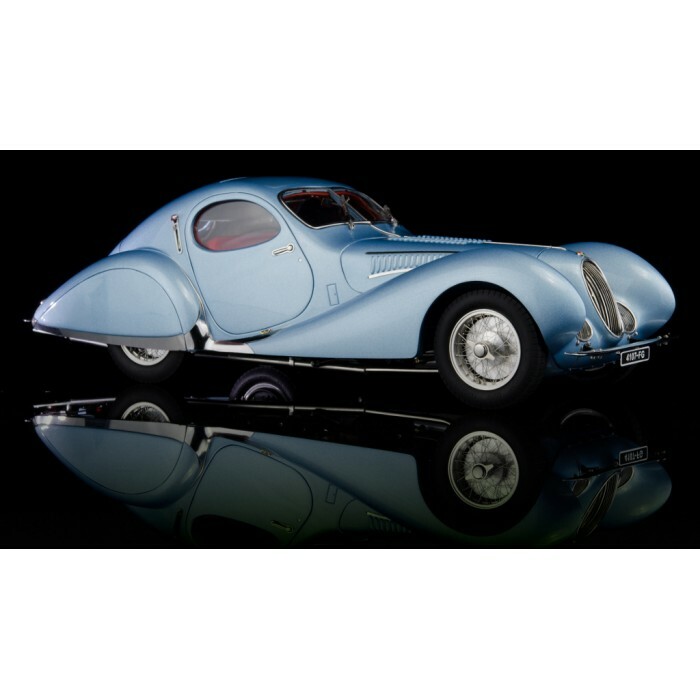 For the CMC management, the Talbot Lago Coupé is a long held and deeply cherished dream come true. 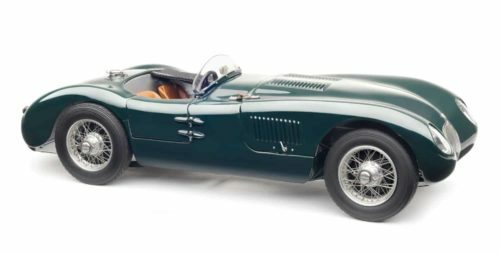 In the early years of CMC, this demanding type of vehicle was still a little ambitious to meet the high model challenges of this century classic. 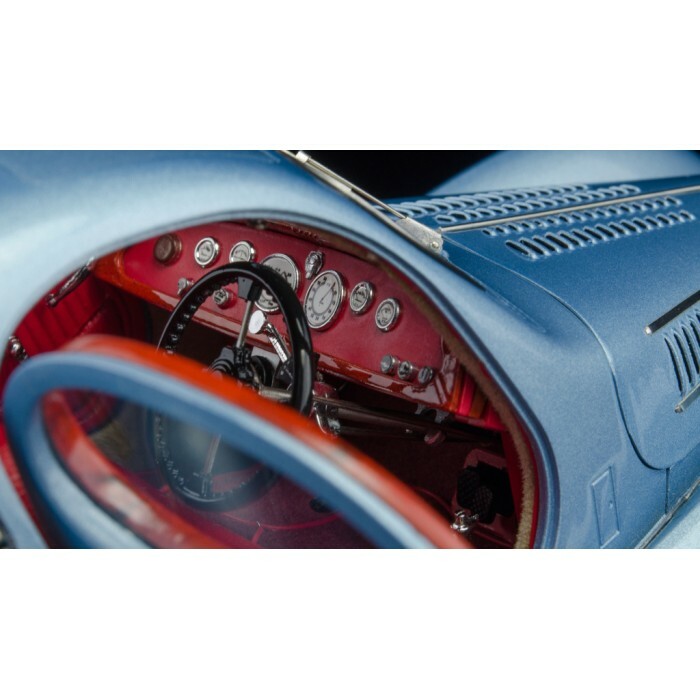 From today’s point of view, after more than twenty years of experience in classic car modelling, we were now ready to reproduce this dream vehicle with the unmatched elegance and aesthetics of the “Teardrop” bodywork by the French sheet metal virtuoso Figoni & Falaschi as a world-class, high-end model. When the decision was taken at CMC to reproduce the Talbot Lago Coupé with its “Teardrop” bodywork as a model, the pulse of our model builders quickened and the joy of reproducing such a piece of art was tremendous. 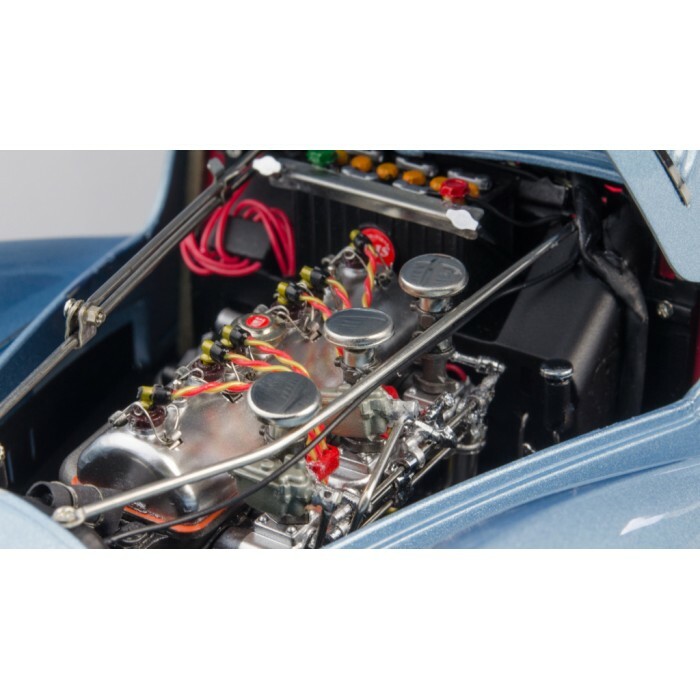 But, at the same time there was also the challenge and obligation to do justice to this demanding project.Many experts around the world are in agreement that this vehicle can no longer be classified with the standards applying to cars otherwise. 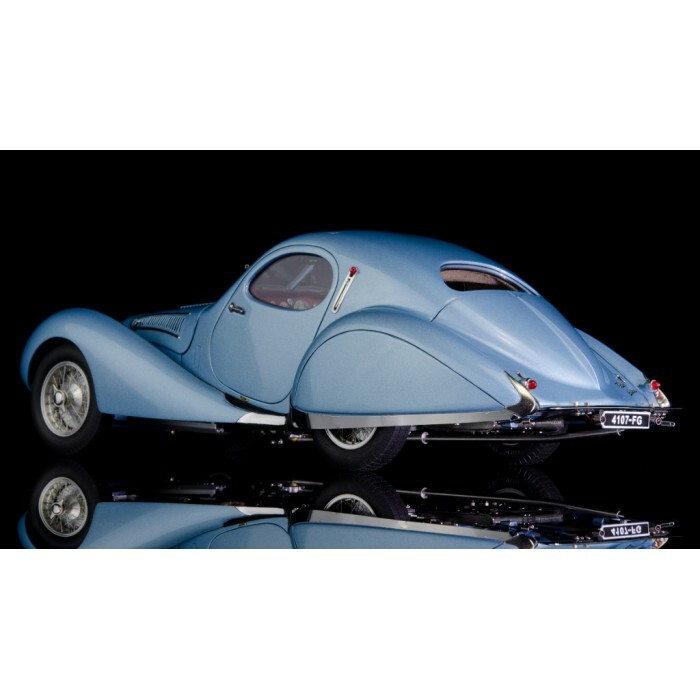 The Talbot Lago, with its bodywork made by the famous French sheet metal cutters Figoni & Falaschi, looks like it is from another planet. 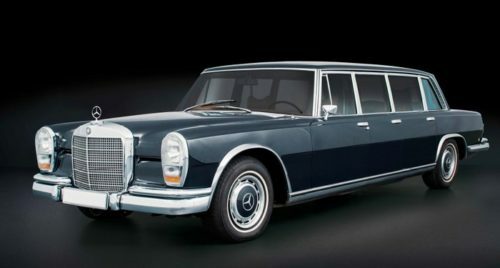 The car is simply what would be called “state of the art” today. 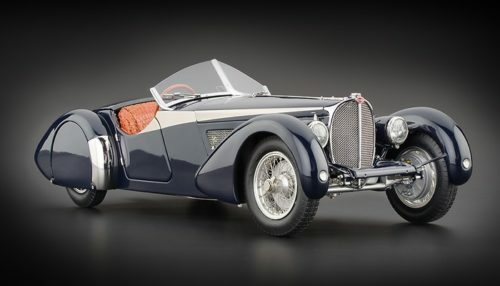 When Talbot presented the Coupé for the first time during the Paris Motor Show in 1937, the visitors were impressed immediately.This very quickly gave rise to the terms “goutte d’eau” (drop of water) and “teardrop coupé”, which were never used officially, but which provided the suitable words for the extraordinary shape. Everything about this fascinating vehicle and every detail attest to a deep love of design and matching accessories. Every line and every rail supports the effect without appearing obtrusive. 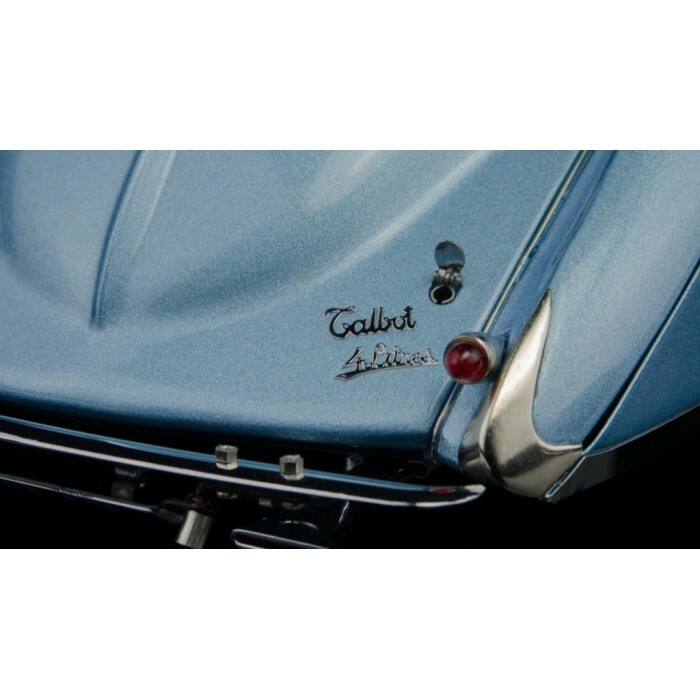 This car is a harmonious unit – from the narrow front fender to the chromium-plated exhaust tail piece. In addition, there is the luxuriously equipped interior with artistic workmanship of noble wood and elegant leather.A silky-smooth running six-cylinder in-line engine works under the bonnet of the Coupé at either 140 or 160 PS, depending on the model. 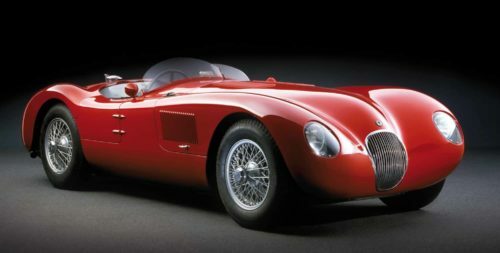 Powerful torque guarantees energetic drive and good acceleration values.Just 16 of these cars – with each individual vehicle differing in either a hardly perceptible or a greater, conspicuous detail – were built between 1937 and 1939.Only about a quarter of these impressive vehicles are still known today, witnesses to a bygone era, when form was still a priority. Construction period/quantity: 1937-1939, 16 pcs.